Physicochemical Properties: calcium nitrate tetrahydrate is a white columnar shape crystal of monoclinic system including α and β crystallographic form. Specific Density: 1.82，Melting Point: 39.7°C. It decomposes at 40°C or so, and converts into anhydrous calcium nitrate due to thorough dehydration when heated at 151°C. When heated furthermore to 500°C, calcium nitrate will first break down to calcium nitrite accompanied with oxygen gas emitting, then degrade to calcium oxide and nitrogen oxide. The product is apt to dissolve in water, methanol, ethanol, acetone, methyl acetate and liquid ammonia. 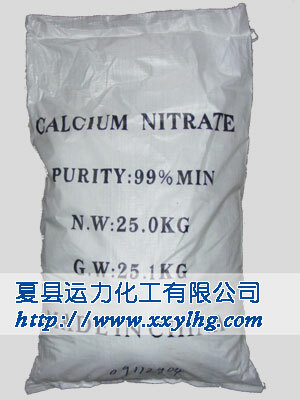 The calcium nitrate is used as an oxidizer with hygroscopic property, resulting in extreme deliquescence in air. 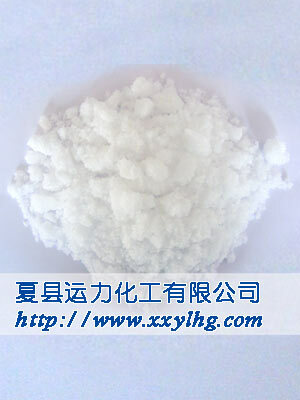 Applications and Usages: calcium nitrate is mainly used as refrigerant and cement anti-freezer, phosphorizing agent in steel industry, as well as in manufacture of fireworks and other nitrates. It also is applied in producing readily available fertilizer in agriculture Specification.